As 2018 draws to a close and Yemen is set to usher in a new year, the invaders’ dreams of seizing the capital Sana’a have not come true. The illusion of occupying the city of Hodeida and its main ports has faded. They have failed despite their preparations as well as the equipment and fighters funneled in by their international and regional backers in the hope of a battlefield resolution that would result in significant changes on the map of control and geopolitical influence in favor of the regional American project. Following the failure to topple the government in the capital Sana’a from within after the unsuccessful December sedition and the subsequent demise of the leader of treachery and treason, former President Ali Saleh, in late 2017, the UAE quickly rearranged its cards and opened camps in Aden to receive and regroup its mercenaries led by Tariq Saleh. The militias were unleashed to carry on with their military operations against Hodeida – this time with the participation of all of its armed formations. With the exception of some incursions along the coastline, all military attacks against Hodeida and the outskirts of the city failed, inflicting unprecedented losses on the enemy’s ranks. Estimates put the number of armored vehicles and machineries destroyed or damaged in the hundreds while thousands of attackers were killed and wounded. Even though the invaders showed resilience and achieved gains on the battlefield along the coast, the results were counterproductive. This prompted Washington to utilize the deteriorating humanitarian situation to its benefit. And so where they failed militarily, they turned to politics. Along the other fronts, the winds did not blow as the Saudis had hoped. Along the Saudi border, thousands of mercenaries and Sudanese soldiers were overwhelmed with heavy losses, as was the case along Yemen’s frontlines. The army and the popular committees reinforced their presence there by restoring strategic areas in Sirwah Marib, Jawf, Nehm, Taiz and Lahij. They also maintained their near-complete control over al-Bayda despite a series of military campaigns to capture it. The first days of 2018 showed the extent of frustration within the aggression’s camp. It committed more war crimes, including genocide, in more than one Yemeni province. The alliance of aggression was not counting on the surprises the other side was planning. By separating the rocketry force from the new locally-made ballistic missiles system, the list of targets inside Saudi Arabia expanded. The number of attacks against the Kingdom’s southern border increased. Short-range ballistic missiles, including Badr-1 and Qaher 2M missiles as well as other systems were used. The missiles targeted economic and military zones such as oil refineries, airports and military bases. This confirmed martyr Saleh Sammad’s equation that the fourth year of aggression will be a year of ballistic missiles par excellence, no matter how many defensive systems the enemy mobilizes to limit it. Through steady development of its capabilities, the missile force made a tactical transformation – whether in terms of doubling its momentum and revealing underground platforms for launching or in terms of announcing the possession of smart missile technology as well as the announcement that the Yemeni missiles reached the capital Riyadh and bombed King Khaled Airport again in February. Instead of launching individual missiles, it launched rockets in batches. 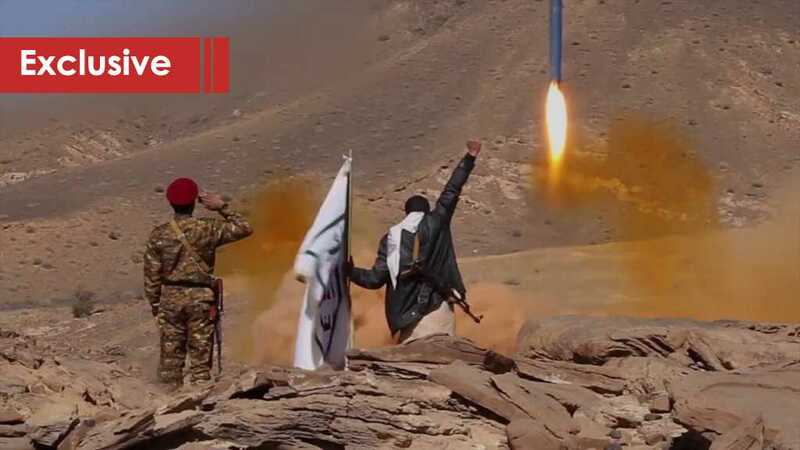 As the aggression entered its fourth year, the missile force also initiated a new phase by launching attacks against the Saudi Defense Ministry and other economic targets using Burkan-2H missiles. The attacks were repeated on more than one occasion throughout the year. They targeted military bases, vital installations as well as mercenaries’ camps and command and control centers inside Yemen and along its west coast. The strikes were also concentrated on Riyadh, Jeddah, Yanbu, Najran, Asir, and Jizan. Defying the siege, which was imposed by the coalition to force the Yemeni people into submission and surrender, the military manufacturing unit at the Ministry of Defense intensified its efforts to achieve self-sufficiency and to provide the fighters along the battlefronts with sufficient quantities of ammunition and cannons. The unit revealed the country’s capabilities in manufacturing missiles of various kinds, including a 120-caliber mortar called “Rojoum” as well as mortar and artillery shells, at the end of last April in the presence of President Saleh al-Sammad – days before his martyrdom. This affirmed a declaration by the leader of the revolution Abdulmalik Badreddin al-Houthi about drawing strategic war equations. He stressed that Yemen is capable of military industrialization with purely Yemeni expertise. The Houthi leader vowed to produce large quantities of projectiles, enabling rocket attacks to cover wider areas in the Kingdom. The year 2018 also saw the Air Force and Air Defense announce the introduction of a surface-to-air missile system, which was locally developed using national expertise. The announcement came after a Tornado drone was shot down in Saada and an F15 fighter jet in Sana’a. The coalition considered the announcement a dangerous development since simultaneous strikes hit modern warplanes, a Chinese-made fighter jet with no pilot and a large number of different kinds of reconnaissance drones. Saudi and Emirati F16 planes were also forced to leave Yemeni airspace several times. Parallel to the ballistic missiles and their achievements on the battlefield, the drone air force has also proved its effectiveness in 2018 with unparalleled success in striking targets and vital installations inside and outside Yemen. Drones revealed Yemen’s military production capabilities and strength factors despite the land, sea and areal siege. More than one qualitative operation was carried out by UAVs across battlefields inside Yemen and Saudi Arabia. The Qassif-1 drone attacks from a distance of no more than 150 kilometers. During the first half of 2018, the Qassif-1 attacked the Emirates’ Patriot PAC-3 system in Mukha. In February, the drone along with the rocketry force targeted the invaders’ command and control center in Marib. A series of operations targeting Saudi airports and installations in Jizan and Asir and often the camps along the west coast and frontlines inside Yemen followed. The second and third generation drones – named after martyr al-Sammad – were first used on the frontline on July 18. They were more effective and were able to travel longer distances as promised by Sayyed Abdulmalik Badreddin al-Houthi, the leader of the revolution. The drone covered more than a thousand kilometers and penetrated the US monitoring and sensing systems. The Sammad 2 drone bombed the Aramco refinery in Riyadh. In August, the drone air force had the UAE in its crosshairs. One of its first missions was targeting the Abu Dhabi airport using a Sammad 3 drone. The escalation was both sudden and shocking for the Emiratis due to the impact on their economic security. The drone air force reinforced its presence in the strategic deterrence formula by bombing Dubai airport – one of the world’s largest airports – at the end of August. The Emirati regime was forced to deny the attack and release misleading information. When the Crown Prince of Abu Dhabi sought new defensive means to curb these attacks and their aftermath, the drone air force targeted Dubai airport once again at the end of September. All vital Saudi and UAE bases and facilities were thus placed on the target list of the drones and before that the ballistic missiles. In recent years, coordination between the army and the popular committees in reinforcing the factors of strength and limiting the enemy’s options and abilities as well as its air and sea superiority has been successful. The naval forces and the coastal defense played a pivotal role in terminating military campaigns and landing attempts to capture Yemen’s west coast. They carried out qualitative operations that at times paralyzed the enemy and at other times forced it to change its plans and priorities. A few days after the United Arab Emirates declared the start of the US/UK-backed military campaign that involved the French and was aimed at occupying the city of Hodeida as well as other Yemeni ports starting from Mukha, the naval force foiled a landing attempt. On June 3 and days before foiling a landing attempt using sophisticated boats along the west coast, the force targeted a warship with two missiles. From the sea, the naval force launched an offensive on a concentration of invaders and occupiers in the port of Mukha in July. Their equipment was bombed at the dock. Also in July, Saudi Arabia’s Dammam battleship was targeted off the west coast by a missile. The attack shocked the Saudi regime. Saudi Arabia was surprised by a special naval operation near the port of Jizan that resulted in the striking of a military target and the killing and wounding of Saudi soldiers. The operation was followed by the targeting of a Saudi warship off the coast of Jizan in early September. The operations of the naval force and attempts by the Saudi regime to involve international forces in the coastal war by announcing the suspension of oil exports under the pretext of protecting maritime navigation, summarizes the coalition’s failure over nearly four years. 2018 did not end according to the calculations and plans of the Saudi-led coalition. Following its failure to run southern Yemen and occupy its north, the coalition’s international backers were forced to search for practical solutions to rescue it from the Yemeni quagmire, especially after it has brought the country to the brink of famine and caused the largest humanitarian crisis in the world. In Sweden, under the auspices of the United Nations, the national delegation from Sana’a reached a humanitarian agreement with the Riyadh delegation to immediately cease-fire in Hodeida and its port, followed by a withdrawal of the invaders and mercenaries from the south of the city. In exchange, the army and the popular committees put away their arms inside Hodeida. Meanwhile, the current authorities will take over all the administrative and security responsibilities. The United Nations will supervise the port’s revenues, including those from oil and gas while revenues from ports under the control of the Hadi regime will also be supervised. The revenues will contribute to alleviating the suffering of the people and be used to for salaries. Bypassing the Security Council resolution 2216, which secured political cover for the forces of aggression, the Council voted on a new draft resolution. The new draft supports the Sweden consultations and paves the way for a comprehensive political solution, provided there are sincere intentions and the UN observer team remains neutral in overseeing this agreement away from Saudi and Emirati pressures and dictations. 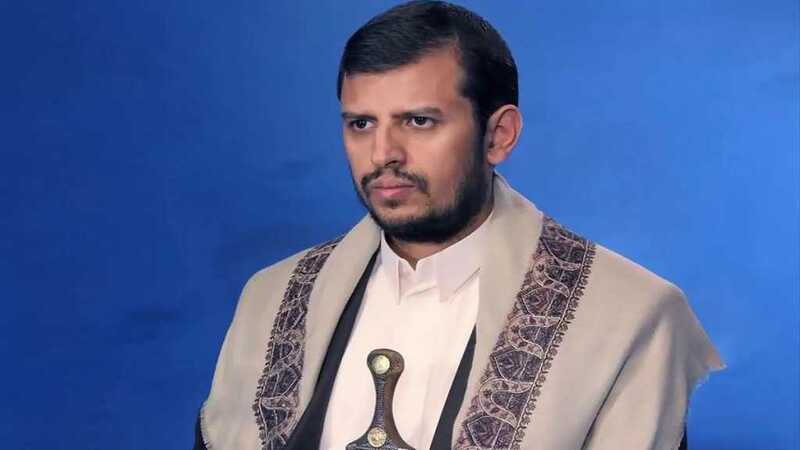 Meanwhile, the spokesman for the Ansarullah movement and the head of the national negotiating team, Mohamed Abdel Salam, views the resolution as a positive and important step towards stopping the aggression, lifting the siege and paving the way towards a comprehensive political solution.